We are oldies, talking about what we know, what we have seen, what we have done – real experiences and real stories. We record our conversation, then we put a shorter, edited version on the Internet – every week. 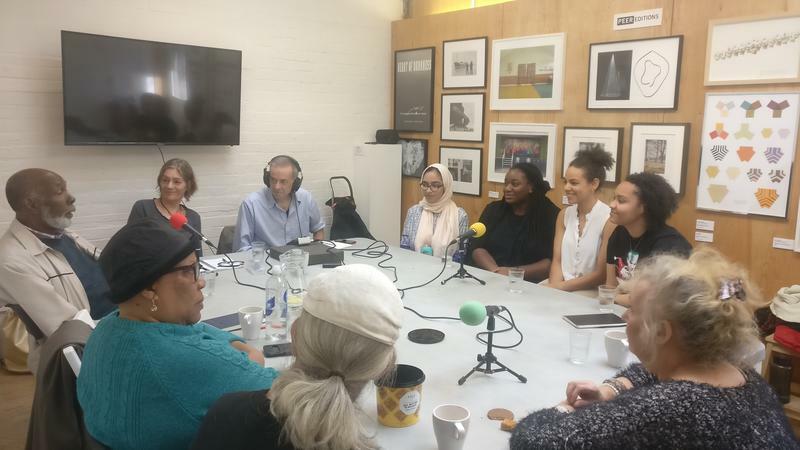 We make podcasts because we think older people in this area have unique insights about the world changing around us – and there is no point keeping it to ourselves. We talk – other people listen and take notice. It’s fun, very effective, and we would like you to join us. You don’t need any technical skills to make your voice heard. We don’t use expensive professional equipment or a sound studio. This is open-mic recording in a public space, so sound quality is sometimes rough. Our resources are minimal, but we do it all ourselves — oldies own the process — since 2010. Keep scrolling down! The most recent published episodes are below (and there are usually 3 or 4 in post-production, waiting to be published). Brief excerpts from a much longer conversation – Hackney elders’ memories of school. The voices belong to: Brian, Leonie, Megan, Rick, Wadley. We don’t use expensive professional equipment or a sound studio. This is open-mic recording in a public space, so sound quality is sometimes rough. Our resources are minimal, but we do it all ourselves. Recorded 18 March 2019 in the Dalston Eastern Curve Garden, London E8 3DF, UK. For our 2019 series, we have turned our podcast format inside-out. Instead of a small, invited group, we open the Monday afternoon event to anybody who happens to be in the Curve Garden glasshouse for any reason — and if the weather is good, we can take the microphones our into the garden. We sacrifice sound quality (you don’t have to tell us), but we gain spontaneous, unpredictable conversation — fresh voices and thoughts every week. From that, we can make a podcast episode when we have time to do it. Excerpts from a much longer conversation about retirement – with people who have done it and others who haven’t. The voices belong to: Andreas, Brian, Cathy, Clarenton, Marylin, Nicholas, Rick. Recorded 11 March 2019 in the Dalston Eastern Curve Garden, London E8 3DF, UK. Why we all have to talk more and hide less – friendships, commitment, belonging, resisting racism, respect – real stories and real values – an intergenerational meeting of minds. The voices belong to: Brian, Chantel, Leonie, Rick, Vanessa, Wadley, Walter. Recorded 25 February 2019 in the Dalston Eastern Curve Garden, London E8 3DF, UK. Guest Chantel bravely engages with a bunch of pre-digital citizens – rebooting Hello Hackney Grassroots Radio at the Dalston Curve Garden. The voices belong to: Andreas, Brian, Chantel, Rick, Walter. Recorded 18 February 2019 in the Dalston Eastern Curve Garden, London E8 3DF, UK. A heavily-edited conversation that started with Andreas’ life as a shoemaker. Voices: Andreas, Brian, Janette, Rick, Sallie and Walter. Recorded 19 November 2018 in the Dalston Eastern Curve Garden, London E8 3DF, UK. Brian tells us about his early life: growing up in Romford, his first job, National Service in Egypt, St Martin’s School of Art. This is an outtake from a longer group discussion. The background crackling sounds are from the Pineapple House log fire. Can the government end loneliness with postmen? On the day that Tracey Crouch announces the UK government strategy to combat loneliness, Hackney elders discuss their own understanding and experiences of loneliness and isolation. The voices belong to: Andreas, Marylin, Mimi and Sallie. Recorded 15 October 2018 in the Dalston Eastern Curve Garden, London E8 3DF. 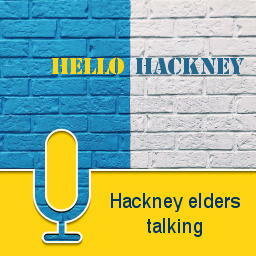 Hackney elders talking with the young PEER UK ambassadors about growing up and living in Hackney. The oldie voices belong to: Marylin, Paula, Peter, Rick, Sallie, Walter. The PEER UK voices belong to Alice, Davinia, Dela, Elise, Mariam. Hackney oldies look back on their lives in a conversation that begins and ends with Hackney Carnival. The voices belong to: Andreas, Mark, Paula, Peter and Rick. Hackney elders sharing how they keep themselves physically and mentally fit. Part 1 of a longer session. The voices belong to: Andreas, Janette, Maralyn, Margaret, Paula, Peter and Sallie. Recorded 28 August 2018 in St Mary’s Secret Garden. 34 minutes.